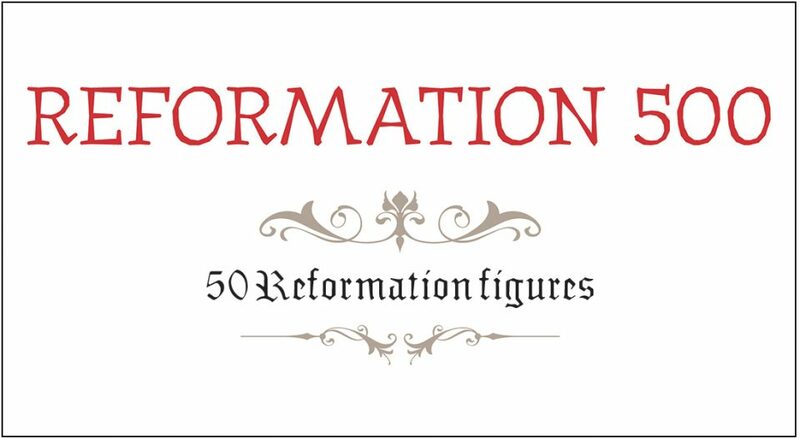 As we commemorate the 500th anniversary of the Reformation, Living Lutheran is exploring 500 of its unique aspects, continuing our series this month with 50 Reformation figures. Often referred to as the “Morning Star of the Reformation,” Wycliffe was an English theologian best known for being the first to translate the Bible into English. He rejected papal authority and is considered the primary precursor of the Reformation. Influenced by Wycliffe, Hus was a Czech priest who advocated for church reform. He was burned at the stake after being convicted of heresy, initiating the Hussite Wars, in which his followers rebelled against Roman Catholic rulers. One of Hus’ central followers, Jerome was a Czech theologian who sought radical, sweeping church reform. He was burned at the stake for heresy at the Council of Constance. The inventor of movable type printing in Europe, Gutenberg started the Printing Revolution, which played a key role in the Reformation, spreading printed works on Reformation ideas throughout Europe. Called “a reformer before the Reformation,” Gansfort was a Dutch theologian and early humanist whose works would inspire Martin Luther and Huldrych Zwingli. He was a proponent of many positions that took root in the Reformation. An Italian Dominican friar, Savonarola denounced clerical corruption. When the Medici were overthrown in 1494, Savonarola became the leader of Florence, encouraging the development of a republic. He was excommunicated and executed for heresy, but his writing would influence Luther and other later reformers. Luther sought many of the same reforms that others—including one of his heroes, Hus—had advocated for earlier. But it was the German monk who set in motion a series of events that would reshape Western civilization. The vicar of the Augustinian order at the University of Wittenberg, von Staupitz supervised the young Luther during a difficult spiritual season. While von Staupitz was not himself a Reformer, his emphasis on God’s grace would heavily influence Luther. The central founding figure of the Swiss Reformation, Zwingli was a priest who led an alliance of reformed Swiss Confederation cantons against Roman Catholic cantons. Zwingli was killed in battle, but Zurich would remain a Protestant city. A Dutch humanist and priest, Erasmus’ Greek translation of the New Testament helped bring about the Reformation. Although he was critical of the papacy, he also rejected many of Luther’s ideas. German humanist and preacher Oecolampadius worked with Zwingli and Erasmus to spread Reformation efforts in Basel, Switzerland. His theology would later particularly influence John Calvin. This German theologian and professor was an early supporter of Luther. Karlstadt eventually broke with him over a desire to push for more radical reform. A leader of the English Reformation, Cranmer was the first Protestant archbishop of Canterbury and the author of The Book of Common Prayer. He was burned at the stake for heresy, but the reforms he advocated led to the formation of the Church of England. A major German radical preacher, theologian and Reformer, Müntzer was a leader of the Peasants’ Revolt of 1525, during which he was captured, then tried and executed. This Reformation leader of Strasbourg, Germany, continuously worked to reconcile differences among groups within the Reformation. He influenced Lutheranism, Calvinism and the development of Anglicanism. Capito was a German priest who became a central reformer at Strasbourg. Like Bucer, he sought to unify various groups within the Reformation movement. A German theologian and historian, Hedio worked with Bucer and Capito on Reformation efforts in Strasbourg. 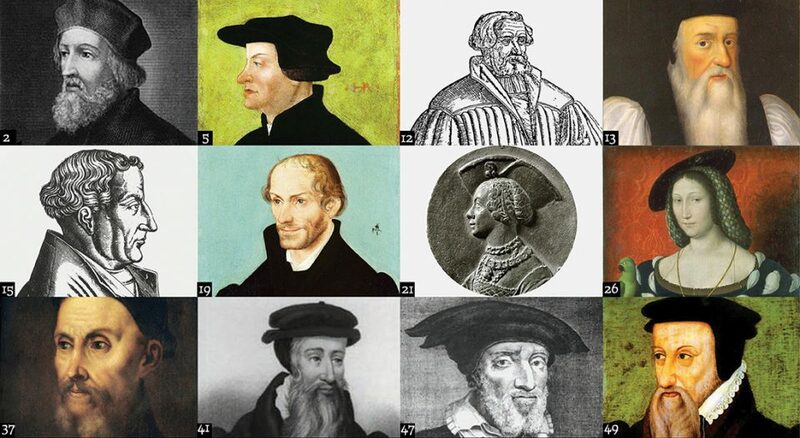 He sought to expand the Reformation to unreached territories. Zell was a Strasbourg reformer who campaigned for and wrote pamphlets on the right of clergy to marry and the need for women to proclaim the gospel. She was one of the first Protestant women to marry a member of the clergy. Widely viewed as the intellectual and educational leader of the Lutheran Reformation, Melanchthon published the first Protestant systematic theology text, “Loci Communes. He succeeded Luther as de facto Reformation leader. After becoming interested in the Reformation movement, von Bora fled her life as a nun in secrecy with the help of Luther. In 1525, she and Luther wed. Von Bora ran the family’s finances, including dealing with Luther’s publishers. The Reformation’s first female theologian and author, von Grumbach was a Bavarian noblewoman who publicly campaigned for the Reformation. She famously challenged the University of Ingolstadt faculty over the punishment of a Lutheran student. German professor von Amsdorf was a close friend and major supporter of Luther. He was known for his strict adherence to Luther’s theology, leading to disputes with Melanchthon and Bucer, whom he saw as compromising Luther’s beliefs. Known as “the Second Apostle to the North,” Bugenhagen was a reformer who helped organize Lutheran churches in northern Germany and Scandinavia. He served as Luther’s pastor in Wittenberg and was respected for his organizational skills. The king of England from 1509 to 1547, Henry VIII initiated the English Reformation through his disagreement with the pope over seeking to annul his first marriage. He became supreme head of the Church in England after Parliament passed legislation curbing papal power. The princess of France and queen of Navarre, de Navarre supported the Reformation by financially sponsoring reformers’ work and giving them refuge as they fled persecution. The daughter of Marguerite de Navarre, d’Albret was the queen regnant of Navarre from 1555 to 1572. More open in her support for the Reformation than her mother, d’Albret publicly converted to Protestantism and became a central political leader of the Huguenots. A Belgian abbess who left her convent after becoming involved in the Reformation, Dentière was the first female theologian of the Genevan Reformation. She emphasized the need for women to take a larger role in the church. An ally of Zwingli, Swiss humanist Vadian became mayor of St. Gallen, Switzerland, in 1526 and converted the city to Protestantism. Known as “the Danish Luther,” Tausen was a monk who studied under Luther before leading the Reformation in Denmark. Following the Reformation’s success, he was appointed bishop of Ribe. Along with his brother Olaus, Petri was a leader of the Reformation in Sweden. He served as the first evangelical Lutheran archbishop of Sweden and was primarily responsible for the first Swedish Bible translation. A Polish priest-turned-reformer, Łanski was heavily influenced by Zwingli and became a leader in the Calvinist Reformation. A Dutch priest who became a central leader of the Anabaptists and an advocate of ethical Christianity, Simons was a pacifist reformer whose followers formed the Mennonite church. An Italian abbot who became a Reformation leader, Vermigli fled to Protestant northern Europe, where he became a professor. He broke with Luther over views on the eucharist, influencing the Reformed tradition. Co-founder of the Swiss Brethren movement, Grebel was a follower of Zwingli who broke in favor of more radical positions. He performed the first adult baptism of the Reformation. Succeeding Zwingli, Buillinger was elected head of the Zurich church. Where Bullinger and Luther failed to unite over differences related to the Lord’s Supper, he and John Calvin reached agreement, launching the Reformed tradition. The most prominent figure of the Reformation’s second generation, French theologian Calvin worked to reform the church in Geneva, Switzerland. His “Institutes of the Christian Religion” helped form the basis for Calvinism, or the Reformed tradition. One of Calvin’s closest friends, Viret was a pastor in Lausanne, Switzerland, where he founded the first Reformed academy in the city. Largely through Viret’s efforts, Lausanne became a second training ground for Reformed preachers, following Geneva. Known within the Reformation as “the Elijah of the Alps,” Farel was a French evangelist who founded the Reformed Church in the French-speaking cantons of Switzerland. He famously convinced Calvin to lead the Reformation effort in Geneva. A Spanish physician and theologian, Servetus participated in the Reformation but ultimately developed a theology of non-Trinitarian Christianity, leading to condemnation by both Protestants and Catholics. He was burnt at the stake for heresy by Calvinists in Geneva. The leader of the Scottish Reformation, Knox was a priest who drew on Calvin’s principles. He oversaw the production of the Scottish Reformed church’s constitution and liturgy, leading to the creation of the Presbyterian Church of Scotland. Wishart was a Scottish priest who popularized Reformation teachings—particularly Calvin’s and Zwingli—in Scotland. Although Wishart was burned at the stake for heresy, his martyrdom encouraged Knox and others to spread the movement. Influenced by Erasmus, this Italian humanist advocated for the primacy of Scripture over tradition. The author of “The Benefit of Christ’s Death,” Paleario was tried and executed for heresy in Rome. One of the most influential 16th-century German artists, Cranach was a friend of Luther’s and painted altarpieces, court portraits and portraits of the Reformers. He sought to spread Lutheran ideas through his work. A theologian, professor and hymn writer, Jonas was a colleague of Luther and co-wrote the Augsburg Confession. He translated Luther’s and Melanchthon’s Latin works into German. Chemnitz, a second-generation German reformer who sought to unify the Lutheran church, was known as “the Second Martin.” He served as superintendent of the churches of Braunschweig. A pioneer in hermeneutics and church history, Croatian theologian Illyricus caused a rift within Lutheranism by taking a more conservative view on adiaphora (theological nonessentials) than Melanchthon. The author of the first printed book in the Slovenian language, Trubar was the founder of the Slovenian literary language as well as the founder and first superintendent of the Protestant Church of the Duchy of Carniola. French theologian Beza was Calvin’s successor as leader of the Reformation in Geneva. With Calvin, he co-founded the Geneva academy, a Calvinist training ground. As “the Luther of the Slavs,” Třanovský was a Lutheran priest, hymn writer and professor from Cieszyn Silesia who became the founding figure of Slovak hymnody. John G. Potter is a content editor of Living Lutheran.